A large crowd of students gathered in the Student Resource Building last week to celebrate the Lunar New Year. Hosted by UC Santa Barbara’s Asian Resource Center (ARC), different Asian Pacific Islander clubs organized activities and performances that showed off traditional aspects of different Asian cultures. “Lunar New Year is not only about family reunion and local communities. It is also about cultural diversity when celebrated globally such as today in this building,” said East Asian Studies professor Xiaorong Li. Some organizations decided to provide a traditional dish or dessert from a specific Asian country. UCSB’s International Student Association handed out mochi, a Japanese rice cake traditionally eaten during the Japanese new year. Others organizations chose to feature games commonly played in Asia. The Taiwanese American Student Association taught students how to play Mahjong, a commonly played game in China. Mahjong is a solitaire-style game played with typically four players and uses tiles instead of cards. 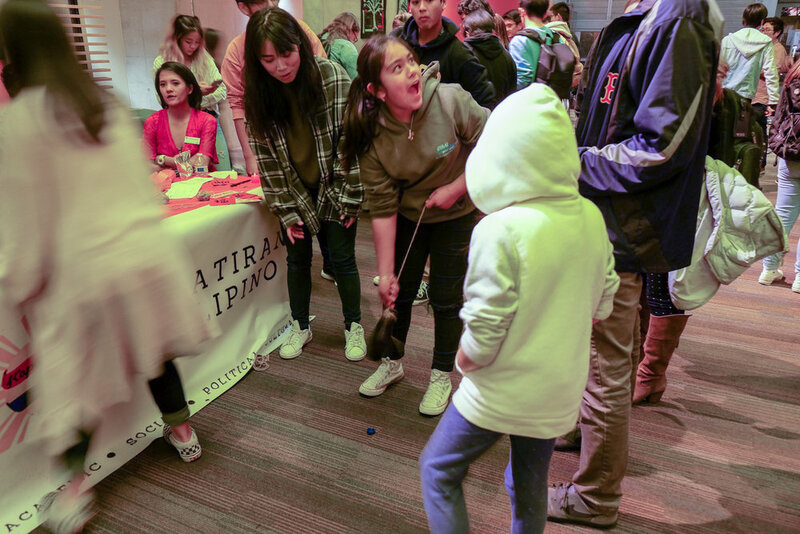 Kapatirang Philipino, UCSB’s Filipinx American student organization, set up a station for Talong Relay, a game usually played during family parties, fiestas and celebrations. A talong (eggplant) is tied to one end of a string, and the other end is tied around the person’s waist. The goal is to use the talong to get the desired object to the finish line. Other activities included Korean hanbok origami and Chinese calligraphy. To hear more about the activities each club chose, drag your cursor along the 360 photo below and click on the various musical notes. 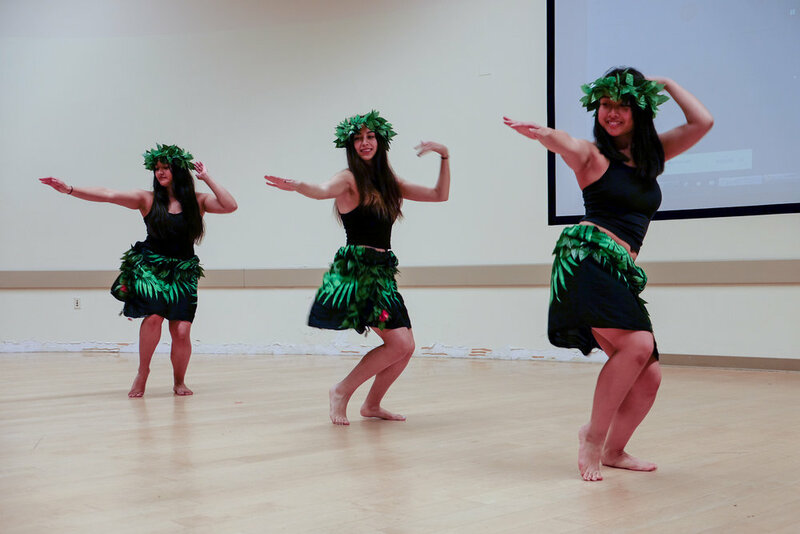 Students also participated in performances, from traditional Polynesian and Filipino dancing to modern K-pop and break dancing. KP’s Pilipino Culture Night gave a performance of Tinikling, a traditional Filipino folk dance that involves two people beating bamboo poles on the ground, while the dancers step over and in between the poles. Iaorana Te Otea celebrated the new year with a performance of traditional Polynesian dancing. Giving Bach, a music outreach program at UCSB, performed a few pieces of traditional Chinese, Korean, Japanese and Vietnamese songs. K-pop dance club SS805 and UCSB Breakin, a b-boying club, closed off the performances with dances that got the audience clapping and cheering. Though students were not able to go home to celebrate with their families, they were able to join their peers from diverse Asian backgrounds to celebrate the new year. “We like to create events that bring the API community together. In planning this event, we kept in mind that we’re a huge population on campus, but we didn’t really have events for us,” said Asian Resource Center student peer mentor Ana Camaddo, who helped create the event.